It’s been less than a month since the tech-laden luxurious offering was revealed from the Tristar stable. 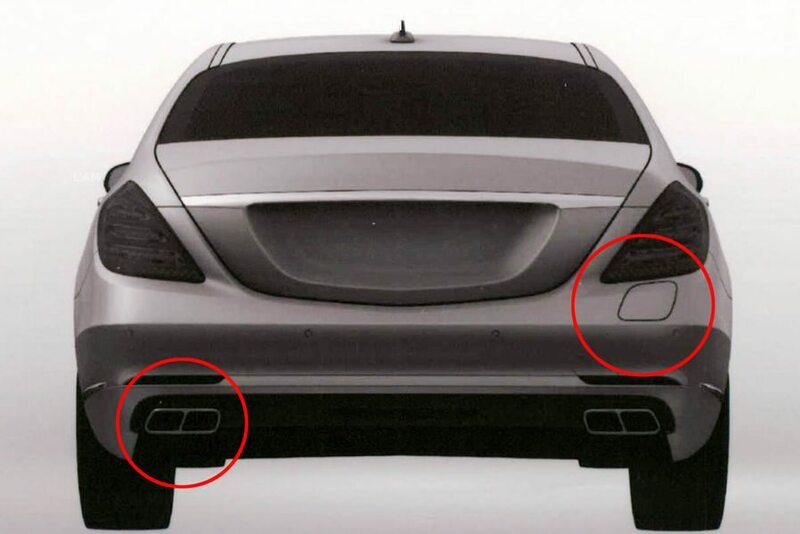 Slated to be released in four drive trains with two hybrid variants, patent application images of the plug-in hybrid S Class have been revealed, courtesy of German Magazine ‘Auto Motor Und Sport‘. Though the changes would not immediately hit your eye, well they aren’t too prominent either. A tweaked front grille, AMG styled square exhaust pipes and a charging port under the right tail light conclude the exterior visual alterations on the S Hybrid. 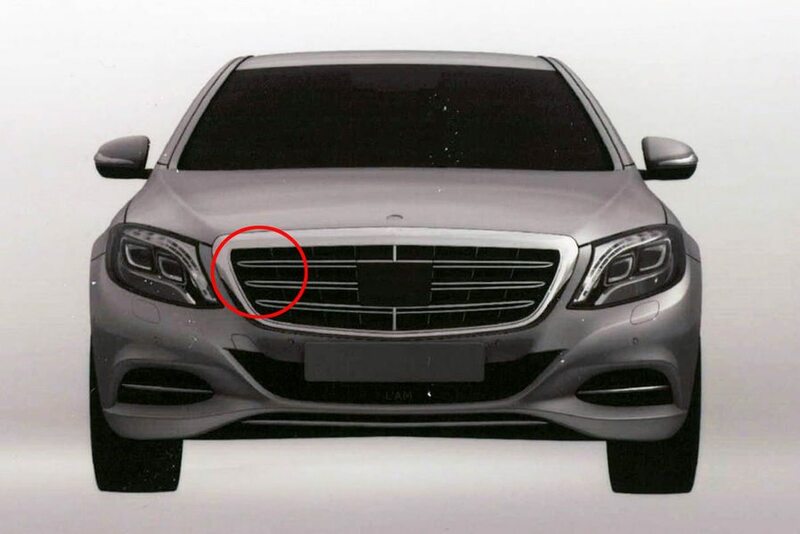 As mentioned, the new S Class hybrid would be available in two variants with one being a flagship Petrol S500 and another a Diesel S300 BlueTec Hybrid. Derived from the S400 hybrid, the new S500 is said to be powered by the same 3.5 litre petrol engine albeit with a more powerful 109 bhp electric motor. 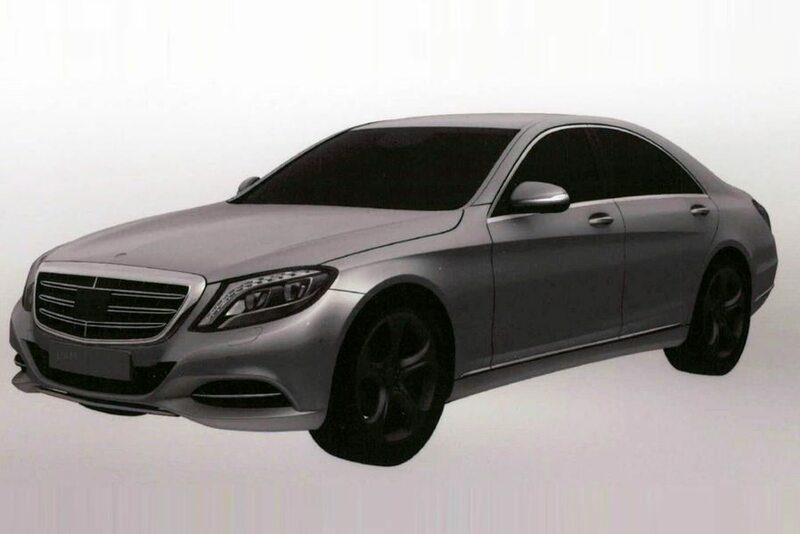 Talking of performance – expect the S500 Hybrid to go neck to neck with the powerful petrol S500. And the figures that matter on a hybrid- yep, the fuel consumption. The new S500 thanks to a complementing and more powerful electric motor is slated to render an astonishing 33 kpl consuming 3 litres per 100 kms. We were all gung-ho over the 30kpl JMD Honda Accord Hybrid we spoke about yesterday- this hybrid simply dwarfs our earlier surprise. Available in two wheelbase variants, the new S Class Hybrid would be aiming to lock horns with the Porsche Panamera S Hybrid- and hope MB doesn’t miss out on that appeasing hot stone massage.